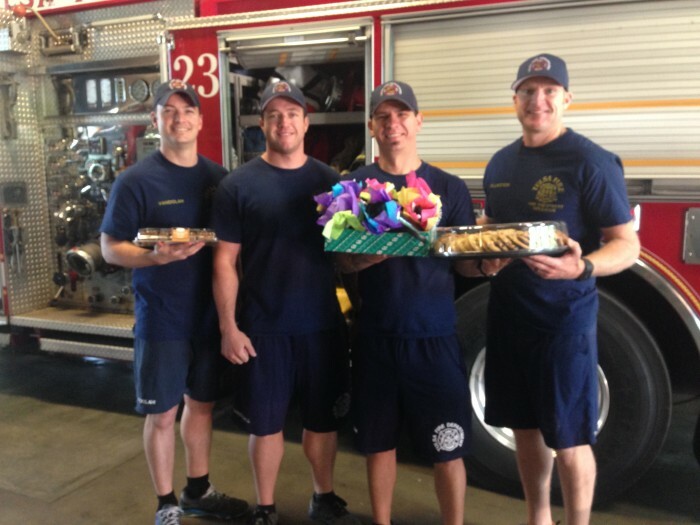 Thank you so much to the wonderful Tulsa firefighters at Station 23 on 51st Street. A few weeks ago, very early on a Saturday, they responded to a water leak in our parking lot. Thankfully, the water issue did not affect our ability to serve our clients. And fortunately for us, these professionals came to help. Here are four of the seven great guys, along with a tray of cookies and caramel peanut butter blondies to show our gratitude. We appreciate you, gentleman!